This hugely liveable lightweight tent will be a palace for two and comfortable for three. However, you will need to take good care of it. Having used my Dad’s ageing, almost-waterproof Sierra Designs 2P, 1-door tent on a few hikes, I decided it was time to update this essential piece of kit. After much research, way too much in fact, I picked up the Big Agnes Copper Spur UL3, an ultralight double-wall tent weighing in at a shade under 2kg (packed weight) (NOTE: I bought and am reviewing the 2013 model that’s about 10% heavier than the updated 2014 model). My criteria in selecting the tent: I wanted a 3P, despite the slight weight penalty compared to a 2P, so that I could take my partner and daughter on a future hiking trip. My hiking partners tend to be 6ft tall too and/or solidly built, so I thought the extra space would come in handy. 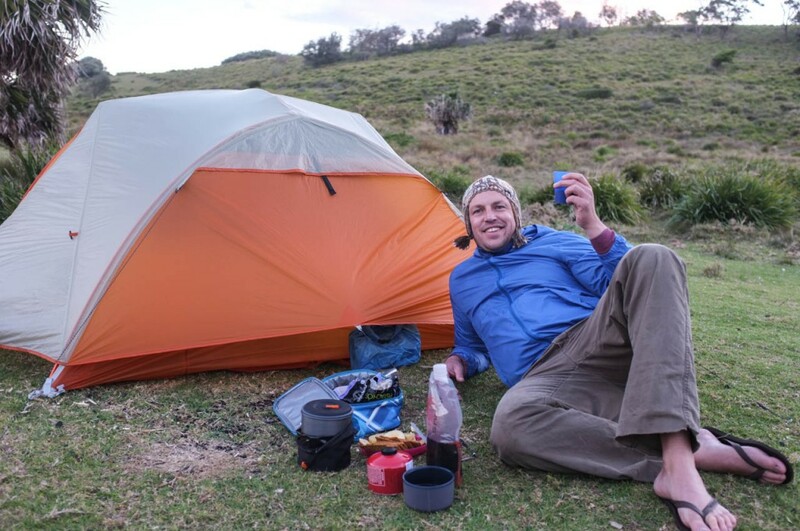 Weight aside, liveability was the main reason I bought this tent and it doesn’t disappoint: it gave two men, including my friend John, a 6ft+ ex-rugby player, ample space to sleep side-by-side. You can sit up very comfortably inside too. Included gear pockets are handy and the twin vestibules are spacious, fitting packs, boots and extra gear. Having two doors is pretty essential if you need to get out at night. The Copper Spur UL3 is definitely overkill for a solo tent but still light enough for a weekend solo hike if you only have one tent in your gear cupboard. Two of the three times I’ve tested the tent, it’s rained, including a heavy shower. I stayed perfectly dry inside, despite water pooling underneath the floor on one occasion and a significant amount of splashback (poor site selection and tent set-up on my behalf). There are plenty of guy points and I didn’t have any issues after staking out the tent in a howling southerly at North Era campground. This is the big reason to go for an ultralight tent and 2kg is about as good as it gets for a 2-door, 2-wall 3P tent at this price point, especially one so spacious. 1.8kg for the 2014 model is even better (I’m scoring the 2013 model, however). You’ll also need to factor in the weight of a footprint (I got one free when I bought mine) which will add 200g or so. Do you need a footprint? There are arguments for and against. Even taking the weight of the flooprint into account, the tent is still pretty light. You can go much lighter with ultralight shelters such as tarps and single-wall tents like the Tarptent Double Rainbow (which I also own). All packed up, it fits neatly into my 60L pack. It packs even smaller than my dad’s old 2P Sierra Designs tent: not bad for something this spacious. The tent is a cinch to set up (and pack up) even on your own: after a single practice-run in my lounge room, it’s been smooth sailing. A single-wall tent would be easier, of course but it’s among the most intuitive double-wall tents I’ve used. 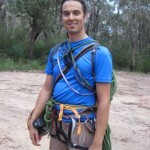 The innovative hub-pole structure is different to your traditional dome or tunnel tent setup but means that pitching the tent is pretty fool proof, if somewhat unwieldy (the single pole that is used to anchor the entire tent, with the exception of a short pole used to hold up the roof and entrances, is pretty large when unfolded). The footprint is pretty large so you will be limited to selecting more open sites. This is the tent’s weak point and biggest compromise: you don’t get light weights without paying big $$ and/or getting less durable fabrics. This tent strikes a reasonable compromise. Select your campsite carefully and clear the ground of sharp objects like sticks and glass (yes, I found broken glass at one camp site). Never pack this tent on the outside of your pack unless you’re walking on open roads, clear of branches. So far so good for me but it wouldn’t take a lot to puncture it – the tent bag already has a tear and it’s made from the same material as the fly and floor). Consider a floor print (but order a Tyvek one off eBay rather than buy the overpriced Big Agnes option) and consider where you might be camping. The Copper Spur UL3 currently retails locally for AU$599.50. I bought mine for less on special from the USA before it was stocked in Australia. Either way, it’s a lot to pay for a tent so you need to consider how much you’ll be hiking, whether the weight matters that much and whether you really need a 3P tent (you’ll save over $100 by getting the 2P version). I’m pretty keen on cutting down on pack weight and because of the medium-term goal of a family overnight hike, it all made sense to me. And I do love the tent. 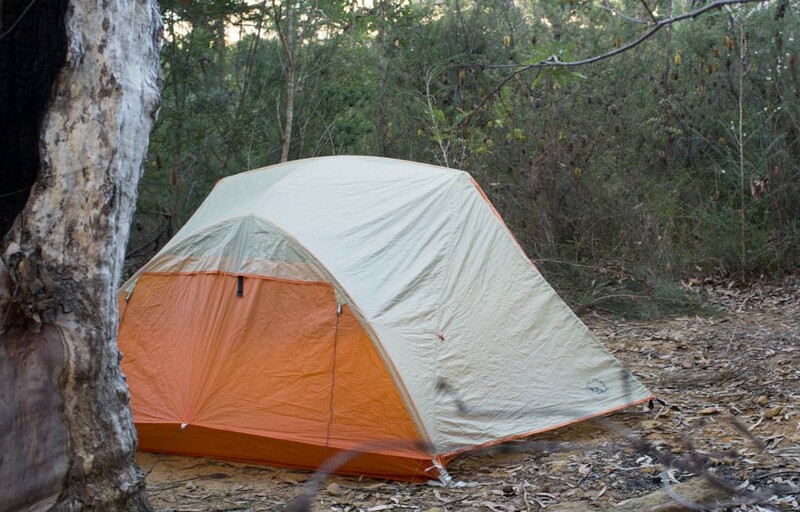 You can purchase the tent locally from Wildearth. 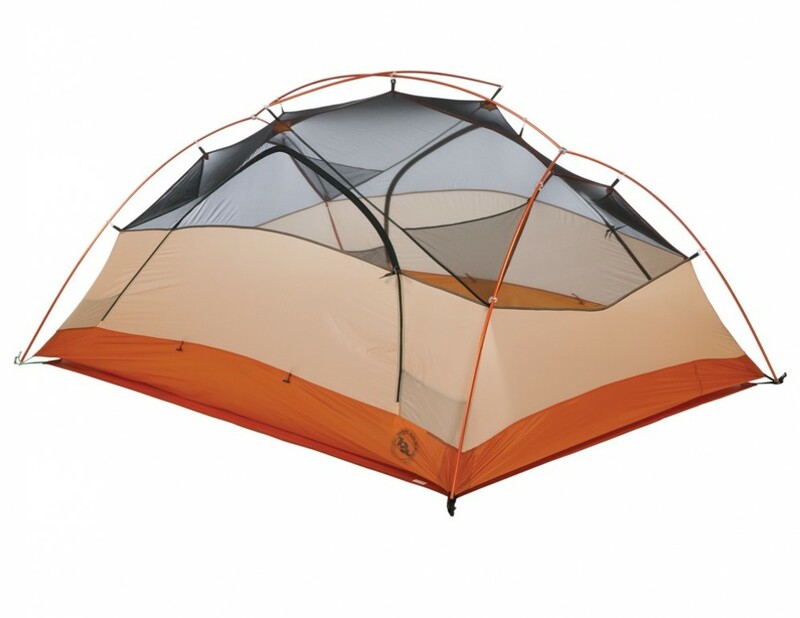 This hugely liveable, lightweight tent will be a palace for two and comfortable for three. It sets up easily and has a great amount of storage space beneat the vestibules. 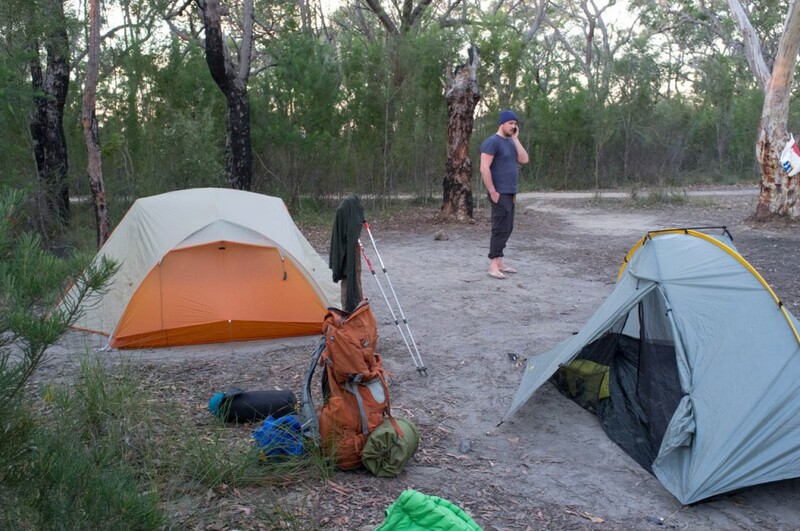 If you only need one tent for solo, group and family hikes, this could be it! However, you will need to take good care of the tent: its lightweight fabrics are definitely tear-prone. Great review, how is the tent holding up after some years use? Thanks Paul! Happy to confirm that the tent is holding up a-ok after a few years of use – probably been on the trail with it another 8-9 times since the review? They’ve released updated models since then which are more spacious and lighter! Sadly, I can’t justify forking out for them as I’m still really happy with the tent.